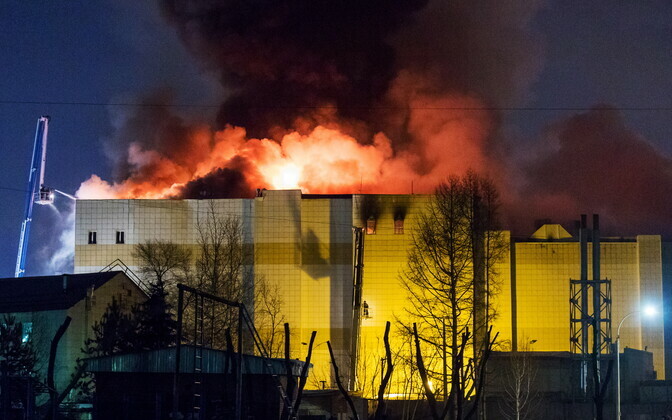 Minister of Foreign Affairs Sven Mikser (SDE) offered his condolences to Russian colleague Sergey Lavrov following Sunday's deadly fire at a shopping center in the Siberian city of Kemerovo. "I express sincere sympathy to the families and friends of the victims, and I hope for a speedy recovery for those who were injured," Mikser wrote in his letter to the Russian minister according to a ministry press release. "Our thoughts are with the injured and the loved ones of the victims following this tragic event." According to initial reports, the fire claimed more than 50 lives, many of them children. Dozens more were injured.